670.00 sqft. - 1050.00 sqft. Shanti Kunj is a residential society with multi storied towers. The apartments are designed scrupulously and allow aeration & natural light. The well styled interior is bound to catch your interest to its beauty and finesse which complete and compliment your style of living for a lifetime. Other than the splendor and plan the focus has not shifted from the quality of apartments that look spectacular and lets you stay younger for years. The structure is excellently carved and the designs are well thought. The development is adorned with all modern day conveniences enabling you to enjoy your life in ultimate luxury. 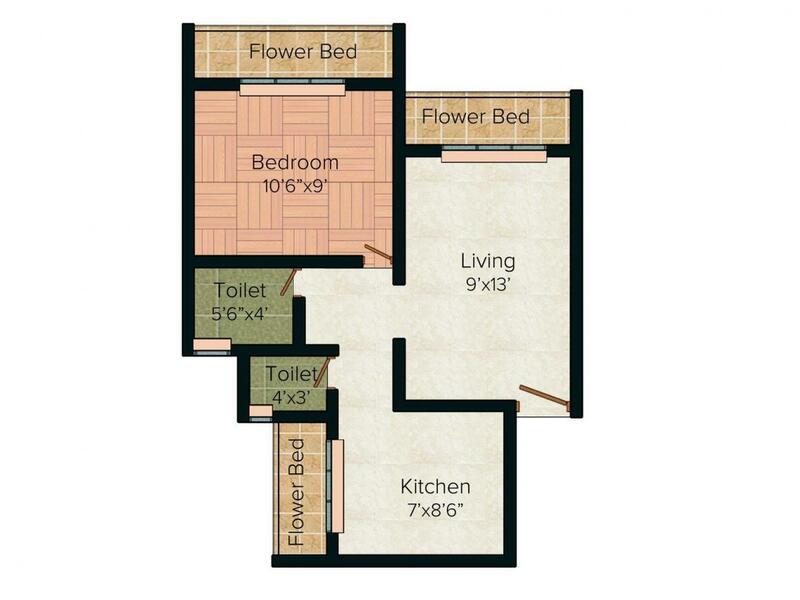 Comfort and style within the premium structure is what every home seeker looks for. All the facilities are carted keeping the needs and niceties in mind to hold up the modern life style. 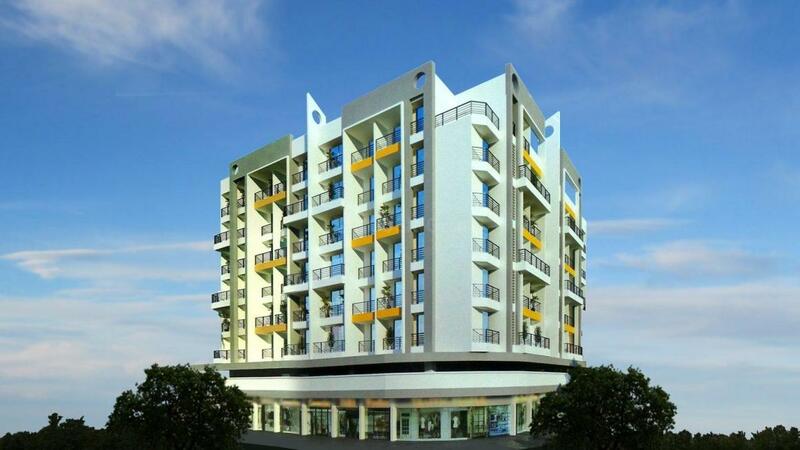 Kamothe in Navi Mumbai is one of the fastest developing nodes. Located on the Mumbai Pune expressway, this area is witnessing rapid construction of residential and commercial hubs. Kamothe lies adjacent to CBD (Central Business District) Belapur of Navi Mumbai. The lush green landscape and planned infrastructure is what is prompting major builders to reserve their site for developing projects here. Kamothe is bordered by Kharghar in the north and Panvel in the south. Kamothe houses two railway stations, Mansarovar and Khandeshwar that are a part of the Mumbai Suburban Railways. The roads in this area are very well developed and are connected efficiently with frequent state-run buses and local autos. There is a projected Metro railway that is supposed to be operational in sector 10 of Kamothe in the near future. There is also major excitement around the proposed Navi Mumbai International Airport which shall effectively connect Kamothe with other places in the country. Kamothe is divided into 48 planned sectors that have excellent roads and transport facilities that make life really easy for its residents. 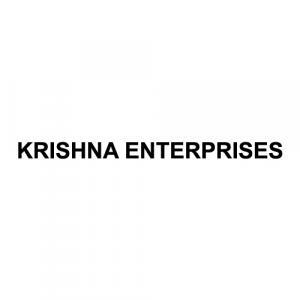 Krishna Enterprises. was established in the year 2007 in the city of Mumbai. The company has diversified understanding in the Construction and Development sector & they have constantly and progressively focused on creating a more than pleasing stay experience for their clients. Today they have an unmatchable standing with clients and they are dedicated towards providing excellence, dependability, honesty and fineness in building. They are extremely revered for their simplicity, promise, honesty and sincerity, defining standard for quality and perfect execution of the projects. These core values have made them to reach heights within a short period of time. Their foundation area of proficiency is projects in Mumbai.